Make sure you know what is considered “all-inclusive.” Some resorts or cruises will include airport transfers to and from, but a lot do not. Drinks, other than water, will sometimes cost you an arm and a leg (although some places do include spirits and other beverages for free). Spa packages, equipment rentals, and certain restaurants may not be included, either. Make sure you know each different resort/cruises policies on tipping, too. Scope out the internet situation. Most cruise ships offer internet for an incredible ridiculous price. So when we were planning a vacation and leaving our two babies behind for the first time, I knew that wouldn’t work for me. When we headed to Cancun, it was free wi-fi – and we used it every. single. day. I was SO thankful for that free wi-fi. Pack everything you need. In our situation, the resort was literally miles from ANYTHING. at all. When I realized I forgot to pack sunscreen, I just naively went and purchased some from one of the resort shops. For a small (very small) sunscreen and aloe – it cost me $47!! I hear prices are about the same on a cruise ship, too. It literally would have been cheaper to check an entire extra bag full of sunscreen than to buy it at the resort. Watch for deals. 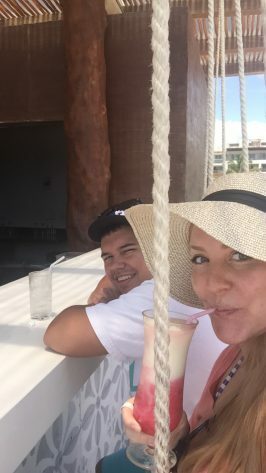 We scoped out where we wanted to go and what worked best for our situation (read: somewhere not too far from our babies with free wi-fi) for a few MONTHS before we booked. The nice thing was, we kept checking back and seeing the same resort offered for different prices. We booked about two months out (which apparently is SUPER close), but we got a STEAL of a deal. Unfortunately, the upgrade we wanted wasn’t available, but we ended up saving about 40%. Also, it helps to know when the peak times are in a certain area (just google peak season in _______). If you go right before peak times, or right after, it can also save you a little money – but you may want to double check that it’s not their stormy season. Sometimes, the upgrade is definitely worth it. Even though the specific upgrade we wanted wasn’t available, we still got a great upgrade that was pretty cheap. It included more catered service (thank heavens because the other lines were SO long), butler service (they just made sure we had reservations for wherever we wanted to eat – even at the SUPER busy restaurants), an ocean view, and exclusive access to certain a restaurant and pools. The other pools were pretty loud and kind of wild. I was SO thankful to be in a less-crowded area without 50 college students partying it up while I was relaxing poolside. 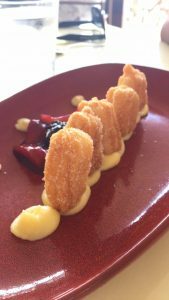 Plus, the restaurant we had access to ended up being our favorite one (we ate there at least 3 times…). On our last cruise, we upgraded to a balcony when they had a sale, and that was also one of the best choices we made. It’s nice to have natural light in your room when you’re at sea for more than 5 days! Sometimes, the upgrade is NOT worth it. Read the fine print. When we upgraded, we were pretty excited because it offered $300 in resort credits. While the upgrade itself ended up being worth it for the amenities we had access to, upgrading for the resort credits alone would have been a HUGE mistake. In reality, those resort credits were for $200 in specialty wines (we don’t drink alcohol, so they were useless to us), and two $50 credits to the spa (but you couldn’t use them at the same time). Know what kind of vacation you are getting. I know a lot of people who have gone on a cruise or to a resort and have been SO disappointed, so it’s good to know what kind of vacation you have in store. 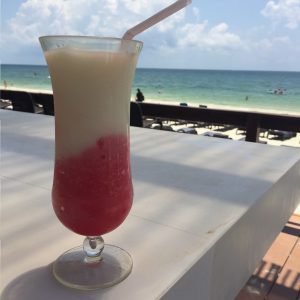 If you are looking to really get to know the local culture and cuisine and see or go on slightly dangerous adventures, an all-inclusive is probably not for you. We only left the resort for one day – when we went and toured some ruins – but it was very structured and completely supervised. 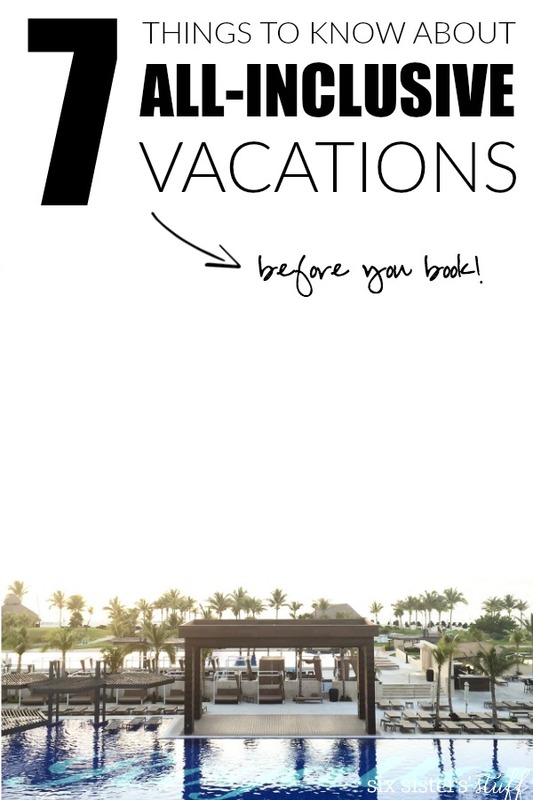 What this kind of vacation actually is: probably one of THE most relaxing vacations you will ever go on (especially if you purchase your vacation as a package, and literally EVERYTHING is taken care of). It was just me and my husband, and we spent most of our time laying by the beach, playing in the ocean or pools, and eating incredible food. That was the kind of vacation we wanted, and it met (and exceeded) all of our expectations. Planning a vacation? 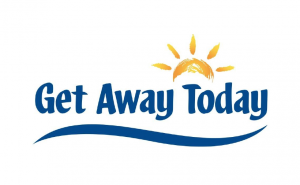 Check out the awesome deals on Get Away Today!